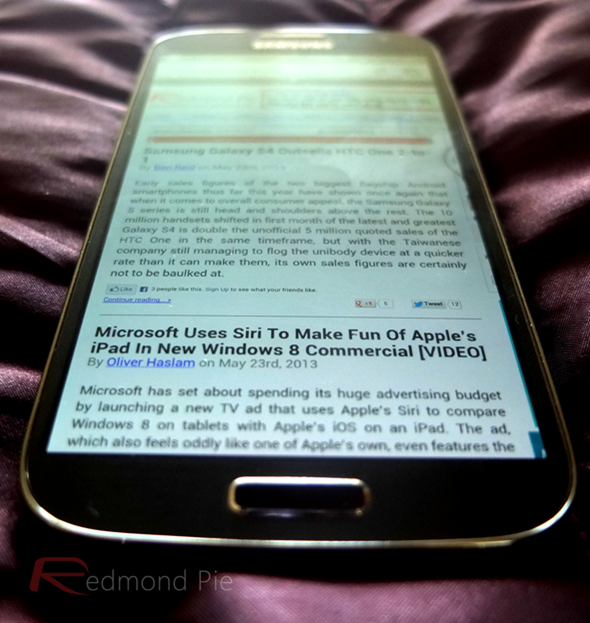 I have been testing Samsung Galaxy S4 here at Redmond Pie, and having spent quite a few days putting it through its paces, I’m going to be offering my critical assessment. The latest in an immensely popular series, it’s easily the most sought-after handset of the year thus far, and if you’re currently on the fence with regards to whether the device warrants your hard-earned cash, you’ll hopefully be a little closer to deciding after reading this hands-on review. Having initially pulled the device from its box, the first thing I was struck by was just how thin and light this thing really is. Considering the multitude of high-end hardware packed within, one might have forgiven Samsung had it bulked up slightly from Galaxy S III, but it is in fact slightly thinner than its record-breaking predecessor. The overall design is, as you will probably have seen from the many videos and images released, incredibly similar to the S III. In fact, to the untrained eye, it would be rather easy to mistake the two, so while the form factor and finish may not be anything to write home about, it’s certainly nice enough. 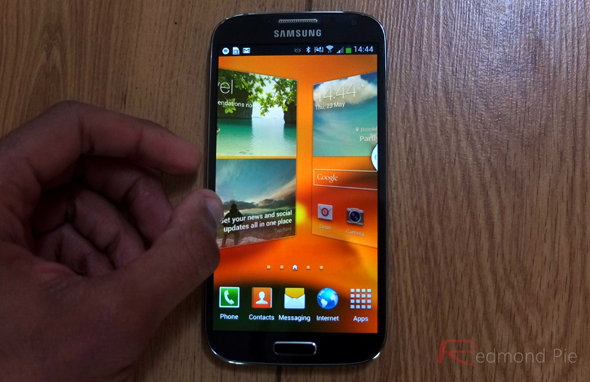 In fact, to put it another way, if you liked the look of the Galaxy S III, you’ll like the Galaxy S4, and conversely, if last year’s release didn’t appeal to you, well, this won’t either. One common theme among the Galaxy S4 naysayers is that it is built from plastic, and with the likes of Apple, HTC and now Nokia all now going for high-end finishes reflective of the nature of the devices, many had hoped Samsung would break from its long-standing mold and follow suit. I have to confess, I have been vocal in my distaste for this particular style of finish, and although the plastic is actually easier and perhaps even more comfortable to hold, it doesn’t make that expensive, high quality impression the fingertip; it feels a bit like a toy. 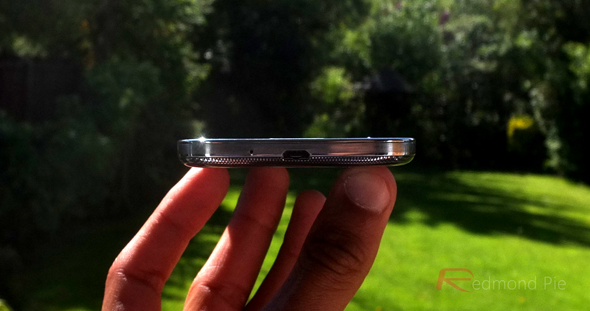 Despite the shiny plastic fascia, the fact that the back is easily removable in that familiar snap on/off fashion means that you can easily drop in a spare battery, or bump up the internal storage by means of the microSD. These are two elements I would certainly loved to have seen with the HTC One, and certainly gives the Galaxy S4 an edge over most of the other top tier smartphones. 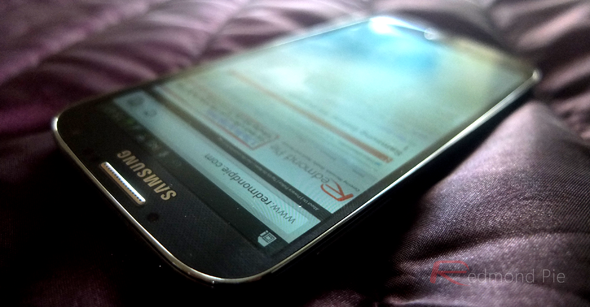 When you turn on the Galaxy S4 for the very first time, the beautiful Super AMOLED HD display is quite simply enchanting. There’s not a pixel in sight, and everything looks incredibly crisp, bright and vibrant. The HTC One’s display boasts a slightly higher pixel density, but when you’re talking about a circa 5-inch screen at 400+ ppi, there’s really nothing to call to the naked eye. Watching clips on YouTube on the Galaxy S4 has been an absolute dream, and the same goes for playing games. Of course, the PowerVR SGX GPU must take some credit for rendering even the most graphically intensive titles with aplomb, but needless to say, you’re not likely to be having any quibbles regarding the S4’s display. 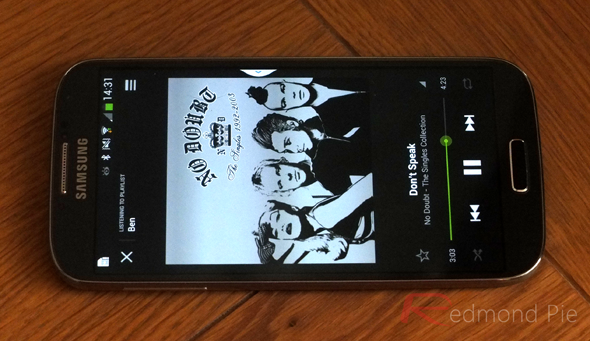 Having recently accustomed myself to the HTC One’s ‘BoomSound’ technology, which boasts dual stereo front-facing speakers complete with the added kicker of Beats Audio, I wasn’t expecting the sound quality of the S4 to measure up. 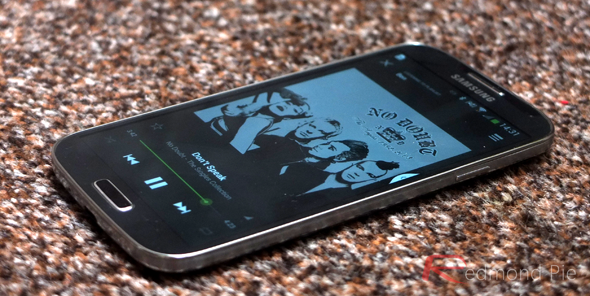 Yet while the noise pumped out of the single rear speaker didn’t quite compete with HTC’s bold, bolshie offering, it was still loud and clear enough when music was being played. Plugging the headphones in to enjoy a little Spotify, however, was a slightly different matter. The sound produced, even at maximum volume, was very quiet, and also rather tinny, which was rather disappointing. I instantly plugged my headphones into my iPhone 3GS, played the same song, and it suddenly dawned on me that, for music fans, the Galaxy S4 is very, very quiet indeed. Also, it’s worth mentioning that the bundled ear buds are next to useless if you like rich, clear sound, so if you are indeed a fiend for music on-the-go, you will need to spend that extra little bit to yield a reasonable audio performance. The Galaxy S4 sports a 13-megapixel camera, and having taken several shots in numerous lighting conditions, I think it’s fair to say that Samsung has stepped things up a gear or two. Of course, the Galaxy S4 Zoom will take care of the slightly more confirmed photo fanatics, but for your general point-and-shoot Instagram type, the zoom-less Galaxy S4 does a pretty solid job. Low-lighting is still somewhat problematic, but having had some frankly dire experiences trying to capture anything after 8pm on the Galaxy S III, it’s good to see that Samsung has made things noticeably better this time around. I’ve never been a fan of vendors imposing their own, immovable software atop the stock Android, and perhaps never will be. But having grown very frustrated with Sense 5 and the annoyance of BlinkFeed (which can be hidden but not removed), I have found some respite in Samsung’s TouchWiz Nature UX 2.0. By no means is it ideal, but it’s definitely the best of the bunch, and although I couldn’t resist bringing my favorite Smart Launcher Pro into the equation, I have rather enjoyed balancing its use with the very latest version of TouchWiz. 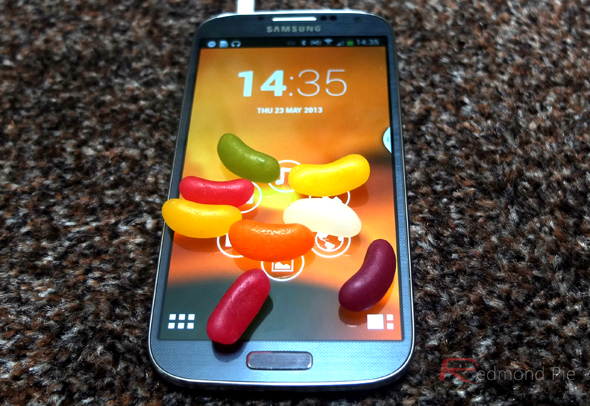 As you will probably be already aware, the Galaxy S4 runs on Android 4.2.2 Jelly Bean, which is the very latest on offer. As with almost every version of Jelly Bean, it runs a very tight ship; everything’s slick, animates nicely, and I cannot say I experienced much in the way of lag. It still lacks that cutting-edge that would place it alongside iOS in terms of a pure, seamless performance, but if you ever doubted Android’s smoothness in the past, you needn’t harbor those concerns anymore. 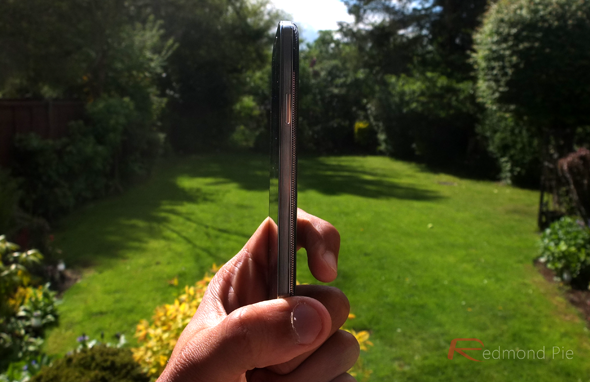 Having picked up the HTC One just a week or so before trying out the Galaxy S4, I must admit that quite a few of the surprises had already been ruined for me. The sharp and powerful camera, the big, bright display, the immense speed of an octa-core processor; I had already experienced these joys in the days leading up to the arrival of the latest and greatest Samsung smartphone. But one thing I had been rather looking forward to was trying out some of Samsung’s new and exclusive features, and once I had gone through the rather cumbersome rigmarole of logging in here, updating there and allowing the calibration process to commence, the first thing I did was get started with all those James Bond-esque treasures. Although I enjoyed the likes of Smart Scroll, which uses the front-facing camera to watch your eyes and scroll pages accordingly, I couldn’t really see much point to it. I mean, there are plenty of things our smartphones don’t yet do for us, and certain elements that could be made a great deal less painstaking. But for me, scrolling down a Web page using the tip of my finger or thumb is no great hardship, and comes as naturally as unlocking the device when I pick it up, so really, beyond the initial “oh, that’s kind of cool,” Samsung’s new band of gesture-based apps felt, on the whole, little more than fanciful extras. Smart Pause was another that really didn’t capture the imagination. The idea is novel, in that it pauses your video when it detects you eyes are looking away, but I couldn’t help but feel it was just a gimmick. It worked well once again, and while some Samsungites will undoubtedly be enjoying these features much more than I did, it seems more like their purpose doesn’t stretch far beyond adding a bit of fun and “cool” factor, rather than truly enhancing functionality. 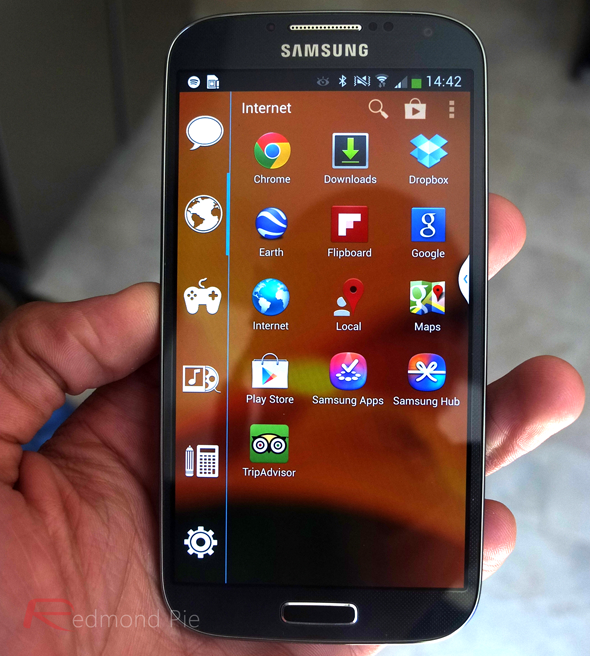 There are plenty of other such smart features packed into the Galaxy S4, more than I would care to mention in fact. But one I did find quite interesting was Air Gesture(s). By waving your hands above the device’s sensors, you can perform all manner of gestures to invoke different actions. Aside from being just a showy-offy footnote in the Galaxy S4’s vast array of smart features, this actually does have some practical uses. If, for example, your hands are wet, dirty, covered in food, or generally in unpleasant enough a state for you not to want to touch the display, you can still, in effect, do so; willfully scrolling Web pages, scanning photos, and answering calls without placing your paws on that robust Gorilla Glass finish. With a 2,600 mAh battery, I was able to enjoy a full day of uninterrupted and relatively heavy use. The days of the Nokia 3310 lasting several days at a time are long gone, but we have, by now, begrudgingly let those memories pass in exchange for the multitude of features offered with devices such as the Galaxy S4. Since the S4’s battery is removable – an increasing rarity in the days of aluminum unibodies – you’ve always got the failsafe that when your juice pack does inevitably begin to deplete, you can replace it for very little cost and with minimal fuss. The Samsung Galaxy S4 is a delightful phone, and although the Korean company has been a little ‘boring’ in bringing the tried-and-tested formula out for another innings, it’s hard to blame them when consumers continue to flock to stores in their droves to get a hold of it. I like it, and I find it very difficult to pick faults in it. It’s a ragingly efficient handset, and if you’re looking for a top-spec device with everything you could ever want and more in terms of hardware and software, you cannot really go wrong. However, in parting with the device, I don’t feel any real sense of sadness. I also don’t feel my decision to opt for the HTC One was a choice made in haste; I definitely went for the correct handset to meet my own personal needs. I guess, in summary, the device is good, very good in fact, but if you owned a Galaxy S III, there’s a reasonable chance you’ll ultimately find yourself underwhelmed by what the Galaxy S4 offers. 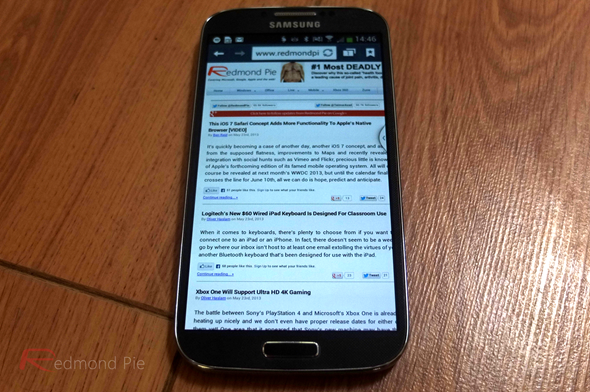 I would be inclined to give the Galaxy S4 an 8/10, but that would imply there was something significantly wrong with it. But there isn’t. 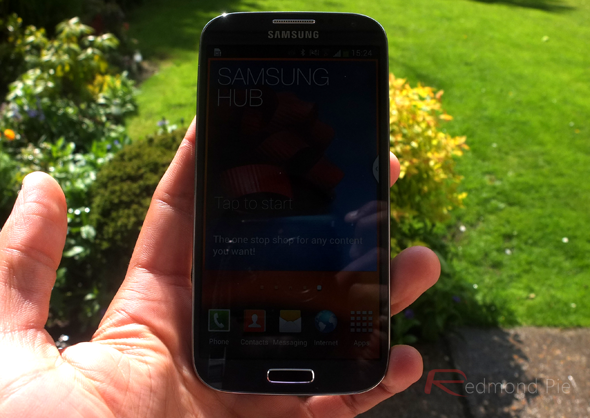 It excels in almost every category, and if you’re looking for a new smartphone this summer, I can comfortably say that Galaxy S4 is the best all-round device out there at this point in time. If you want something similar but with a nicer build, then go for the HTC One, and if you require a better camera, the new Nokia Lumia 925 offers the very highest standard of smartphone shooter in a similarly attractive shell. But make no bones about it: the Galaxy S4 is a master in appealing to the masses, and considering how easily it has slipped into my life over the past week, it very much suits the “Life Companion” labeling of its creator.